CBO: OCO FUNDING NOT VIABLE AS SGR PAYFOR: A blog statement released earlier this month by the Congressional Budget Office (CBO), addresses the question of “whether potential reductions in spending for overseas contingency operations (OCO), such as U.S. military operations in Afghanistan, can be considered as offsets to reductions in taxes or additional spending for Medicare or other programs.” The short answer, according to CBO, is not really. The OCO funding has consistently been mentioned as a potential offset to pay for the cost of repealing and replacing the sustainable growth rate (SGR), and while many politicians, both Democrats and Republicans agree that using OCO funding as an offset would be budget gimmickry, the real question is whether or not Congress has the will to pass a bill using these offsets. Most Republicans will argue against using it (minus a few Senate Republicans), while Democrats tend to be in favor. And this is the current political stalemate over passing comprehensive SGR legislation: identifying the payfors. Medical societies, like NASS, have been pivotal in working with Congress to create the appropriate policy for SGR reform, now it’s up to Congress to do its part and to create the offsets. NASS and the Alliance of Specialty Medicine submitted a letter of support for the recently introduced H.R. 4015/S.2000, the SGR Repeal and Medicare Provider Payment Modernization Act of 2014. Within the letter, the Alliance urges Congress to continue the momentum they have built thus far and pass the bi-partisan, bi-cameral SGR bill currently before them. In addition, NASS will be ramping up its grassroots efforts to solicit support from members to urge their local representatives to bring this issue up with Congressional leaders so action can be taken this year. NASS will provide more information on its grassroots action plan in the coming days and continues to work with its partners in the medical community on this important issue. ICYMI – “FIXING THE ‘DOC FIX’” – The Wall Street Journal : This week, the Wall Street Journal editorial board encouraged Congress to quickly take up SGR legislation currently before Congress and pass it before another patch will be needed to prevent unnecessary cuts to physician’s Medicare reimbursements. To read this article, click here. SENATORS WARN CMS OVER ICD-10 IMPLEMENTATION: In a letter to the Centers of Medicare and Medicaid Services (CMS) Administrator, Marilyn Tavenner and US Senators expressed their concern over front-end testing of the ICD-10 billing program starting this March. The four Senators, who are also former practicing physicians, said that implementation puts at risk the hundreds of millions of dollars of payments that flows through Medicare and Medicaid as well as provided a series of questions for CMS to respond to. A copy of the letter can be found here. HOUSE MEMBERS SEND LETTER TO HHS ON RAC PROGRAM: Reps. Sam Graves (R-MO), Adam Schiff (D-CA), Scott Perry (R-PA) and 109 other House members sent a letter to HHS Secretary Kathleen Sebelius complaining that the Medicare Recovery Audit Contractor (RAC) program lacks sufficient oversight, thus resulting in increased administrative burdens for hospitals that have to defend legitimate claims that are denied. They said that CMS should implement reforms so that auditors are charged with identifying real claim coding and documentation errors. To read this letter, click here. 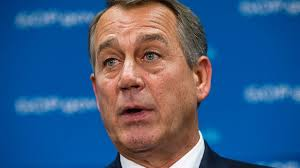 SGR Patch Not Part of Debt-Limit Package: Speaker of the House, John Boehner (R-OH) hastily convened a meeting with his caucus earlier this week to discuss his plan to pass legislation that would extend the nation’s debt-limit that is set to expire on February 27. Initially, House leaders had planned to attach policy riders to the bill, including a nine-month patch for the Sustainable Growth Rate (SGR). However, NASS, along with over 100 national/state medical societies, sent a letter to Congressional leaders this week expressing joint concerns over extending an SGR patch through the end of the year. The letter encourages leaders of both parties to finish the work of the joint House and Senate committees, and pass legislation to permanently repeal the SGR this year. In addition, NASS is still considering full support for the recently introduced bi-partisan, bi-cameral SGR legislation that was released last week. More information will be forthcoming once a formal decision has been made by NASS leadership. CMS’ Open Payments Program Begins: The Centers of Medicare and Medicaid Services (CMS) announced that the agency will begin collecting data on February 18 from certain manufacturers and applicable group purchasing organizations with respect to payments they make to health care providers, including gifts, consulting fees and research activities. A second phase of the PPACA’s “Sunshine Act” Open Payments system will begin in May, under which manufacturers will submit additional, detailed payment information. For more information, please click here. CMS Delays EHR Attestation: On February 7, CMS announced a one-month delay for the deadline for physicians to show that they have met the requirements of the meaningful use program. CMS said the extension allows providers to send data and receive incentive payments for last year, as well as avoid penalties in 2015. More information can be found here. CMS Allows Hospitals to Phase-in Two-Midnight Rule: The CMS announced last week that physicians are required to certify and accept responsibility for any Medicare inpatient admission prior to a patient’s discharge under the Two-Midnight rule which provides for presumptive Medicare Part A coverage for stays over such period. More information can be found here. Since returning to Washington from its winter recess, members of the House and Senate Appropriations committees have been hammering out the detail of a Fiscal Year 2014 funding package. Under the agreement that was reached shortly after last year’s government shut down, top budget and appropriations lawmakers had until Jan. 15, 2014 to come up with an agreement to fund government agencies for 2014. While that deadline has passed, Congress is expected to pass a temporary three-day extension of the current funding levels, which will hopefully give both chambers enough time to pass the $1.1 trillion omnibus package for 2014 on Saturday. Among other things, the funding bill contains no new funding for ACA reduces funding for the Independent Payment Advisory Board (IPAB) by $10 million. A list of the major health related funding provisions can be found here. House Ways and Means and Energy and Commerce committee negotiators are expected to continue their work on merging two sustainable growth rate (SGR) replacement bills that were passed out of each committee last year. At this time it’s unclear how Senator Max Baucus’ (D-MT) ambassadorial appointment will affect the SGR repeal timetable in that chamber. In recent interviews, Chairman Baucus has stated that he expects to see replacing the SGR through to the end, despite several rumors that his appointment could come as early as this March. And while the short-term, three-month SGR patch was intended to give Congressional leaders enough time to hash out differences between the top three replacement bills, the issue of pay-fors could delay that timeline. Rumors have been circulating that Democrats are rehashing previous demands that Overseas Contingency Operations (OCO) funds should be used to pay for the cost of repealing the SGR. However, in recent interviews, House Republicans in the Doctors Caucus shot down any expectations that it their party would support the use of OCO funding for these purposes. 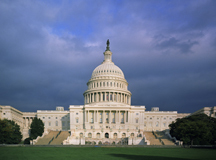 NASS and the Alliance of Specialty Medicine will be conducting high-level meetings on Capitol Hill in the coming weeks with leaders in the House and Senate to express joint concerns contained within each chambers SGR bills. More information on timelines and potential policy changes will be forthcoming. The Senate Finance committee announced that it would hold a mark-up hearing on a revised bi-partisan, bi-cameral proposal that permanently repeals the sustainable growth rate (SGR) this week before Congress breaks for its end-of-the year recess. The House Ways and Means committee is also expected to mark-up a similar proposal this week. However, a formal notice has yet to be released by the committee. The hearings come on the heels of a stakeholder meeting that the committees jointly hosted last week to discuss changes made as a result of stakeholder feedback. In keeping with tradition, the Senate Finance committee will be marking-up “conceptual” legislation and is the first time the committee will have marked-up health related legislation in five years. The Ways and Means committee has released actual legislative text and summary of the proposal. It remains unclear if the Ways and Means committee will offer an open amendment process during the make-up, though it’s unlikely. Conversely, the Senate Finance committee is expected to have an open amendment process. Payments to physicians will be frozen — Ways and Means bill provides 0.5 percent update for years 2014–2016 and then zero percent for years 2017-2023, Senate Finance implements a 10-year update freeze for years 2014–2023. creating a new budget-neutral, tiered quality payment program that measure an individual’s performance relative to others, instead of recognizing personal achievement or the attainment of certain thresholds regardless of how others perform is not only unfair, but ultimately will ensure that physicians become competitors, rather than collaborators, on quality improvement. NASS and the Alliance of Specialty Medicine are currently formulating a response to the respective Committees to address these concerns. The Executive Committee of the North American Spine Society (NASS) read the October 28, 2013 Washington Post story on spinal fusion with great interest and concern. The issue of unnecessary surgery is of paramount interest to NASS, from many perspectives, including humanitarian, ethical, scientific and economic. Recognizing that the issue of unnecessary or poorly or marginally-indicated surgery is, indeed, a serious issue, it is nonetheless inappropriate to roundly condemn the concept of fusion, per se. Fusion of the spine is an invaluable tool in the surgeon’s armamentarium to alleviate intractable pain and return patients to healthy, productive lives. As in ALL surgical procedures, the key is the surgical indication for the individual patient. Overuse or underuse are both bad medicine and do the patient a disservice. There is universal support for spinal fusion in cases of instability, fracture, tumor, infection and deformity. Simpler and safer treatments, if available, should always be pursued first. And, before proceeding with surgery, the potential risks and chances of success must be completely understood. Pain in the lower back is the #1 cause of disability in the United States and worldwide. Neck pain is #4! Together they cause more than 5 million years of disability in the US alone—enough for every person to be disabled by a spine condition for more than six days each year. Patients are demanding access to effective, thoughtful therapies that allow them to remain active and maintain their quality of life. NASS is collaborating with Medicare and private insurance carriers to develop evidence-based guidelines for surgical intervention and to define conditions that are best treated without surgery. Spinal fusion is currently undergoing rigorous scrutiny; the indications for spinal fusion are being evaluated and re-evaluated constantly in an effort to develop the optimal indications to serve the best interests of the patient. NASS is a multidisciplinary medical organization dedicated to fostering the highest quality, evidenced-based and ethical spine care by promoting education, research and advocacy. NASS is comprised of more than 8,000 members from several disciplines, including orthopedic surgery, neurosurgery, physiatry, neurology, radiology, anesthesiology, research and physical therapy. SGR REFORM IN THE CROSSHAIRS OF BUDGET DISCUSSIONS: Efforts to repeal and replace the flawed sustainable growth rate (SGR) formula were put on hold while Congress worked to pull together a funding deal and a temporary extension of the US debt limit. While Congressional leaders suggest that SGR replacement legislation is still on the table as part of a larger budget deal, NASS is concerned that a deal will not be reached, and Congress will punt the issue until next year. Should Congress be unable to pass full SGR repeal legislation this year, physicians will again face the prospect of major cuts to reimbursements. This year, however, is different than years past as there is no short-term strategy in place to prevent the expected 24.4% cuts to Medicare reimbursements for physicians. Typically Congress will pass short-term patches via end-of-the-year budget deals, however, in the latest deal to re-open the government, Congress extended funding for government agencies through January 15, 2014, two weeks after the cuts to Medicare are set to kick in. IN THE MEANTIME: Since Energy and Commerce has passed its own SGR replacement bill, the House Ways and Means and Senate Finance Committees have continued working behind the scenes on their iterations of SGR repeal and replace. Sources inform NASS that the Senate Finance Committee has sent portions of its proposal to the Congressional Budget Office (CBO) for a score, and contains zero offsets, as the committee wants to score the SGR policy before getting into what will surely become a divisive issue. AND IN THE HOUSE: Ways and Means committee members have indicated that their bill will also likely contain zero payfors and the Committee is attempting to keep the bill’s price-tag closer to $140 billion, which is the clean cost of repealing the SGR over 10 years. Committee leaders have said that they are struggling to convince younger members of the Republican caucus to pass an SGR bill as a result of the costs associated with offsetting repeal. DEVICE TAX STILL IN THE MIX: The medical device industry has said that it will continue to press Congress to repeal the Affordable Care Act’s 2 percent device tax. Repeal of the device tax was touted as a possible compromise by Senator Susan Collins (R-ME) during the shutdown conversations, and while repeal has immense bipartisan support in the House and Senate, it was eventually not included in the final deal.